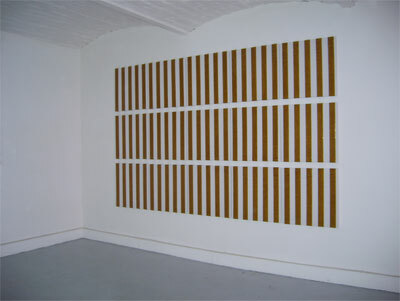 This installation proposes a production process for “paintings”, which is both organic and machinic. 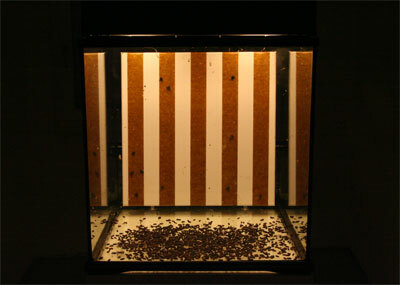 Flies are raised in a box which is “loaded” with a canvases prepared to receive a composition. 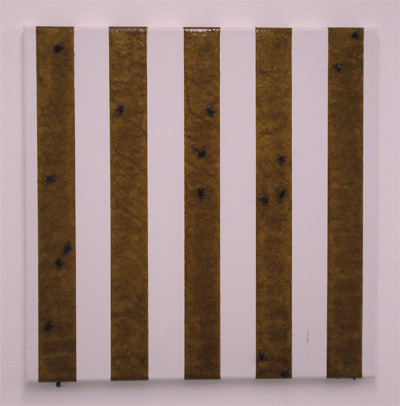 On the canvases, fly ribbons are stuck in regular intervals equal to their width. 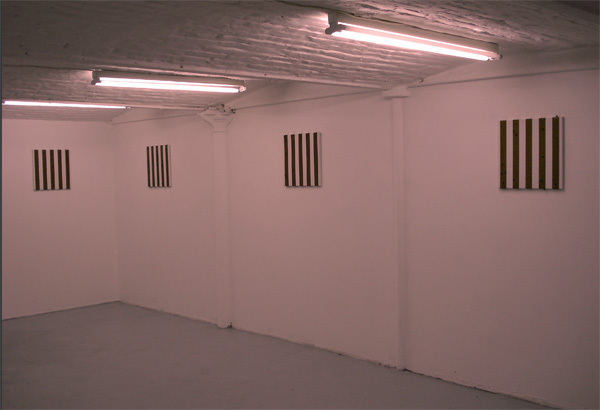 The reproduction of the flies engenders the production of the artworks. 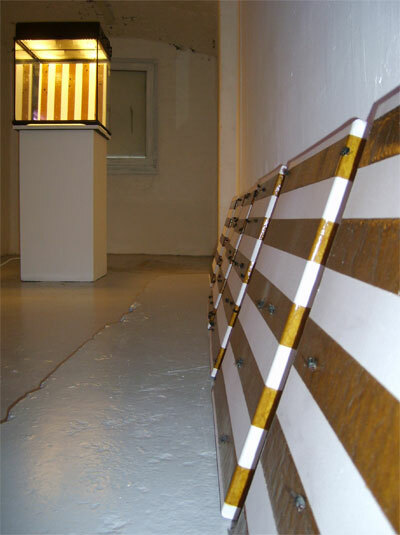 The stripes serve as a stable pictorial structure for the indeterminate composition of each “painting”. The work combines a physical manifestation of “time passing” with a symbolic depiction of ephemerality and, ultimately, belongs to the family of Vanitas. In the same way as photographic film captures light, fixing an instant of reality, the adhesive ribbons capture, literally, the dance of the flies during a given time. The box becomes a kind of camera inside which the fabrication of the image proceeds. After their exposure to the flies, the canvases are varnished to stop the (de)composition.